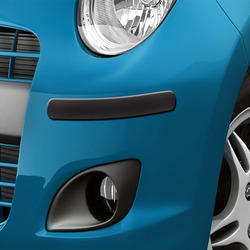 We are focused in manufacturing, distributing, trading, and supplying a broad set of Cars Exterior Bumper Guards. 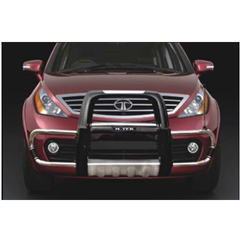 The offered bumper guard is checked in terms of quality on various parameters to dispatch flawless range. Knuffi® warning and protective bumper guards are madeof flexible polyurethane foam and are sufficiently resilientto absorb even the hardest knocks and blows. Their blackand yellow marking also acts as a hazard warning of sharpedges, protruding ledges and obstacles.Knuffi® profiles can be used both indoors and outdoors onfactory transportation routes, machines, vehicles, walls andpassageways. As an esteemed name in the relevant industry, we are offering a precision-engineered array of Tractor Bumper that protects the front portion of vehicle from breaking and denting. Following industry defined guidelines, we manufacture this product by utilizing contemporary machines, advanced technology and the best.